Indianapolis, Indiana – Attorneys for Plaintiff, Engineered by Schildmeier, LLC of Anderson, Indiana, filed suit in the Southern District of Indiana alleging that Defendants, Amazing Parts Warehouse (d/b/a several different names) of Lexington, Kentucky, and Wuhn Xuelang Auto Parts Co., Ltd. of China, infringed its rights in United States Patent No. 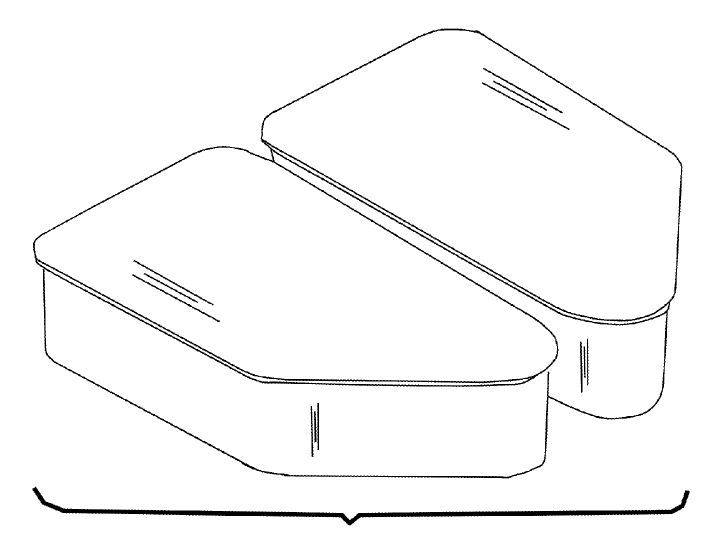 D 816,584 (“the ‘584 Patent”) for a “Pair of Bed Rail Stake Pocket Covers”. Plaintiff is seeking judgment including damages, pre and post-judgment interests and costs. Plaintiff asserts that Defendants have been offering to sell products on Amazon, eBay, and other various sites since February 2018. Amazon has taken down the advertisements when shown the ‘584 Patent. After a bit of time, Amazing Parts Warehouse then re-advertises the same product under a different dba. Amazon removes the new advertisements as they are reported and the cycle repeats almost monthly. The advertisements on eBay have not been removed as eBay refuses to act on validity of patents without Court direction. Plaintiff continues to send Cease and Desist letters to Defendants through Amazon and eBay as well as contact with their websites and the U.S. Postal Service. Count I of the Complaint asserts federal patent infringement as the Plaintiff’s and Defendants’ bed rail stake pocket covers are as they claim, not only identical, but substantially the same leading to customer confusion. Count II claims trade dress infringement in violation of Section 43(a) of the Lanham Act, 15 U.S.C. § 1125(a). The third count seeks declaratory judgment of both the design patent and trade dress validity. Next, Plaintiff seeks declaratory judgment of infringement and validity of trade dress. The final count asserts unfair competition under Indiana state law. Plaintiff claims that they have lost nearly $100,000 in lost profits since the Defendants began selling their counterfeit products in February and they continue to lose a minimum of $3,000 in profits per week. Indianapolis, Indiana – Attorneys for Plaintiff, Eli Lilly and Company of Indianapolis, Indiana, filed suit in the Southern District of Indiana for a declaratory judgment against Defendant, Adocia S.A. of Lyon, France, who is claiming inventorship and ownership rights in Lilly’s United States Patent No. 9,901,623 B2 (“the ‘623 Patent”) for “Rapid-Acting Insulin Compositions”, and United States Patent No. 9,993,555 B2 (“the ‘555 Patent”) for “Rapid-Acting Insulin Compositions”. Plaintiff is seeking declaratory judgment, attorneys’ fees and costs, and further relief the Court determines to be just and proper. Lilly began its research that led to the ‘623 and ‘555 Patents at least as early as 2011. 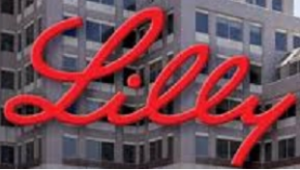 Right around that same time, Lilly and Adocia began negotiating an agreement to develop an ultra-rapid insulin “URI” formulation using Adocia’s BioChaperone® technology. Adocia and Lilly entered into a collaborative research and license agreement on December 13, 2011. The two companies signed a confidentiality agreement on November 21, 2012. By July 2013, the original agreement was terminated. The Parties entered into a second confidentiality agreement on December 16, 2013 and a second collaborative research and license agreement on December 18, 2014 using different BioChaperone® molecules than the first agreement. The second research collaborative continued until January 2017. While Lilly was a part of the research collaborative, they were also running a separate internal program to develop a URI with specific concentrations of citrate for a more rapid time action profile and specific excipients to maintain the stability for the composition. Unlike this research, the collaborative research focused only on URI products containing BioChaperone® molecules. The separate internal research led to the ‘623 Patent issuing on February 27, 2018 and the ‘555 Patent issuing on June 12, 2018. Indianapolis, Indiana – Attorneys for Plaintiff, Veridus Group, Inc. of Indianapolis, Indiana, filed suit in the Southern District of Indiana for a declaratory judgment against Defendant, Strategic IP Information Pte Ltd. (“SIP-IP”) of Irvine, California, that Veridus Group has not infringed SIP-IP’s rights in United States Trademark Registration No. 5,294,263 for the mark VERI-SITE. Plaintiff is seeking declaration and judgment, damages, attorney’s fees, costs, and any other relief the Court may deem appropriate. This case arose after the Defendant sent the Plaintiff a cease and desist letter alleging that Veridus Group was infringing on their federal trademark. SIP-IP provides internet and brand management services, which include certification systems to “help ad networks and publishers identify website hosting content without authorization.” Veridus Group runs a site certification program designed to help professional property developers mitigate risk and to help end-users in increasing the speed to market and improving the value and marketability of a site or building. They utilize the mark VERISITE for marketing and sales purposes related to their site certification services and related goods. Veridus Group claims that the Defendant does not have an exclusive right over the word “VERISITE” in connection with Plaintiff’s business activities as they are significantly different from those of SIP-IP. Further, Plaintiff alleges that even if Defendant did have exclusive ownership in this manner, the services and goods are marketed in such different channels of trade and with both companies working with sophisticated purchasers, there is not a likelihood of confusion for the origin of the services and/or goods. As there is an actual case and controversy as to whether Plaintiff is infringing Defendant’s mark in violation of the Lanham Act and as to whether the Plaintiff engaged in unfair competition at the federal or state common law level, Plaintiff is seeking a declaration of the rights of the parties in connection with the mark VERISITE. Indianapolis, Indiana – Attorneys for Plaintiff, Eli Lilly and Company of Indianapolis, Indiana, filed suit in the Southern District of Indiana alleging that Defendants, Actavis LLC of Parsippany, New Jersey; Teva Pharmaceuticals USA of North Wales, Pennsylvania; and Teva Pharmaceutical Industries, Ltd. of Petach Tikva, Israel infringed its rights in United States Patent No. 7,772,209 (“the ’209 patent”) for “Antifolate Combination Therapies”. Plaintiff is seeking injunctive relief, declaratory judgment, and damages including costs and attorneys’ fees. Indianapolis, Indiana – Attorneys for Plaintiff, Home Care Providers, Inc. and Dr. Dev A. Brar, of Indianapolis, Indiana filed suit in the Southern District of Indiana against Defendant, Shawn R. Bashore, of Carmel, Indiana. This suit was filed for inventorship of the United States Patent No. 9,668,328 (“the ‘328 Patent”), Night-Light and Alert System, for constructive fraud, and conversion of the patent. Plaintiff is seeking declaratory judgment, lost profits, and reasonable costs and attorneys’ fees. 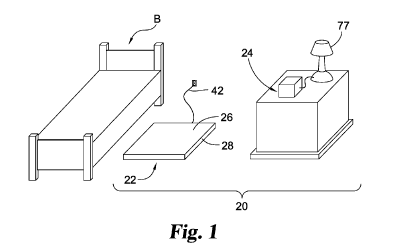 The ‘328 Patent is for a system including a mat and a wirelessly-connected light, the purpose of which is to allow an individual to rise from bed and turn on the lights by stepping on the mat. According to the complaint, Plaintiff alleges that Defendant, while overseeing development of the invention, represented himself as a co-inventor on the patent application, which violated provisions of the employment agreement requiring that all material created would belong to Plaintiff. Further, according to the complaint, Defendant has attempted to profit from licensing the invention. Indianapolis, Indiana – Uniloc, has targeted Binatone of Carmel, Indiana in its latest patent infringement suit. Uniloc has been called a “Patent Troll in Chief” by engadget.com, and justia.com reports that it is a party to at least 343 patent cases. In just October of 2017, Uniloc has filed 17 patent infringement lawsuits. While most of Uniloc’s lawsuits have been filed in the patent-infringement-plaintiff-friendly State of Texas, the US Supreme Court’s recent decision in the TC Heartland case limits the venues for patent infringement cases. This likely forced Uniloc to file this suit in Indiana where Binatone is located. Uniloc USA, Inc. of Plano Texas, and Uniloc Luxembourg S.A filed their suit in the Southern District of Indiana alleging that Defendant, Exclusive Group LLC d/b/a/ Binatone North America, of Carmel, Indiana infringed on the U.S. Patent No. 6,216,158, System and Method Using a Palm Sized Computer to Control Network Devices (the ‘158 patent). Plaintiff is seeking declaratory judgment of infringement, damages suffered as a result of the infringement, and attorneys’ fees. 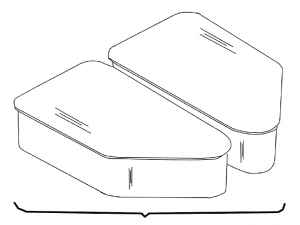 Plaintiffs Uniloc USA, as exclusive licensee of the ‘158 patent, and Uniloc Luxembourg, as owner and assignee of the ‘158 patent, filed suit alleging that a wide range of Binatone’s wireless products, such as wireless baby monitors, infringe the patent. Specifically, plaintiffs allege that Motorola’s products infringe the patent by performing the same functions that are covered under the patent; specifically, remotely controlling a wireless device over a wireless connection, using wireless commands to control the other device, and wireless control of the second device by the first device. Plaintiffs also allege in their complaint that the Defendant indirectly infringes the patent by providing instructional videos, brochures, etc. for each product, explaining to customers how to operate the products. South Bend, Indiana – Stump Printing Co., Inc., also known as Shindigz, of South Whitley, Indiana filed a patent lawsuit in the Northern District of Indiana seeking declaratory judgment of noninfringement. 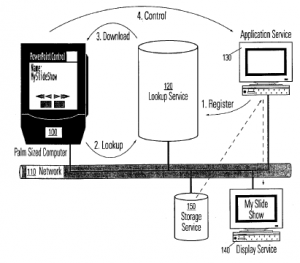 Defendant in the litigation is Electronic Communication Technologies, LLC (“ECT”) of Boynton Beach, Florida, which claims to be the owner by assignment of U.S. Patent Nos. 9,373,261; 7,876,239 and 7,319,414. These patents were issued by the U.S. Patent and Trademark Office. In February 2017, ECT sent a letter to Shindigz claiming that Shindigz’s “order confirmation” and “shipping confirmation” systems “infringe claims of the ECT Patents.” The letter demanded that Shindigz pay a fee of $30,000 to license the use of those systems. In response, Indiana patent lawyers for plaintiff filed this lawsuit asking the court to find the ECT patents ineligible for patenting, not infringed, and invalid. The complaint accuses ECT of being a “patent troll,” stating that the company makes a practice of “calibrating the amount of [its] settlement demands to be lower than the perceived cost of litigation, to try to ensure that practicing entities settle rather than pursue challenges to the eligibility of validity of the patents through dispositive motions or trial.” The complaint also asserts that ECT and predecessor in interest Eclipse IP have filed approximately 250 patent lawsuits since 2011. New Albany, Indiana – Huber Orchards, Inc. of Borden, Indiana filed a trademark lawsuit in the Southern District of Indiana. 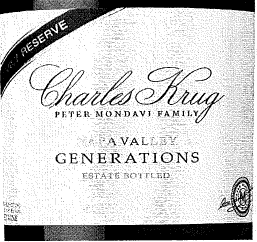 Defendants in the litigation are C. Mondavi & Family (“CMF”) and C. Mondavi & Sons, Inc., both of St. Helena, California. 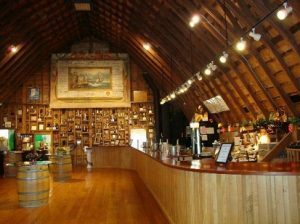 Huber filed the lawsuit seeking a declaratory judgment that its mark “Huber Winery Generations Indiana Red Wine” does not infringe Defendants’ trademark. Both Plaintiff and Defendants produce and offer wine products. In February 2017, CMF sent a cease and desist letter to the president of Huber stating that CMF owns a federally registered trademark for GENERATIONS for wine. This trademark has been registered by the U.S. Patent and Trademark Office as U.S. Reg. No. 2,236,517. In the letter, sent to Huber by a trademark lawyer for Defendants, CMF asserts that Huber’s use of the word “Generations” in conjunction with the sale of wine violates the Lanham Act by infringing and diluting CMF’s trademark. 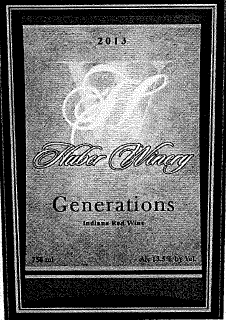 The letter demanded that Huber cease all use of the trademark GENERATIONS in connection with its Huber Winery Generation Indiana Red blend wines. CMF further contended that Huber is liable for injunctive relief, damages, possible treble damages and attorneys’ fees. 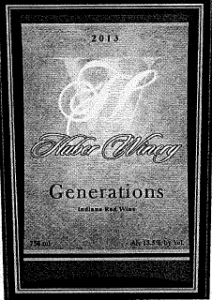 Huber contends that it began selling its “Huber Winery Generations Indiana Red Wine” line locally in 1997, two years before CMF registered its trademark, and that it began selling the wine on the internet in 2004. It further asserts that its use of its “Huber Winery Generations” common law trademark does not infringe any trademark in which CMF has right because there is no likelihood of confusion. It asks the court to declare that Huber’s use of “Generations” and “Huber Winery Generations” do not infringe CMF’s GENERATIONS trademark. Fort Wayne, Indiana – The Northern District of Indiana has denied Defendant’s motion to dismiss for improper venue, citing the connection of the Northern District to the events underlying the litigation. This Indiana trademark litigation, Family Express Corp. v. Square Donuts, Inc., was filed to resolve a dispute over the use of the words “Square Donuts” in connection with the sale of donuts by two different Indiana-based companies. Defendant Square Donuts of Terre Haute, Indiana claims trademark rights to “Square Donuts” under federal and Indiana law. It currently sells its “Square Donuts” in bakeries located in southern and central Indiana, including locations in Terre Haute, Indianapolis, Bloomington, and Richmond. Plaintiff Family Express of Valparaiso, Indiana operates convenience stores in northern Indiana and uses the term “Square Donuts” in conjunction with doughnut sales. Plaintiff states that both it and Defendant are expanding their respective businesses into new markets, with Defendant expanding to the north while Plaintiff expands to the south. Thus, territory in which both operate concurrently has become a possibility. In 2006, Defendant sent a cease-and-desist letter to Plaintiff. Plaintiff and Defendant subsequently discussed the possibility of entering into a co-existence arrangement, but did reach an agreement. This trademark lawsuit followed. Plaintiff asks the Indiana federal court to declare that its use of the term does not infringe on the trademark rights in “Square Donuts” asserted by Defendant. Plaintiff also asks the court to cancel Defendant’s existing Indiana and federal “Square Donuts” trademarks. Trademark litigators for Defendant asked the court to dismiss the lawsuit, claiming that it had been filed in an improper venue. In evaluating whether venue in the Northern District was permissible, the court first noted that, while it “must resolve all factual disputes and draw all reasonable inferences in the plaintiff’s favor,” Plaintiff then bears the burden of establishing that venue is proper. It also noted that venue can be proper in more than one district. Instead, the Indiana court considered the underlying substance of the dispute: “whether the Defendant’s Square Donuts trademark is valid and, if it is, whether the Plaintiff nevertheless has refrained from infringing on the trademark in connection with the sale of its Square Donuts.” The court concluded that, given the extent to which the claims and events at issue in the litigation took place in both the Northern and the Southern District of Indiana, venue was not improper in the Northern District of Indiana. Indianapolis, Indiana – Patent attorneys for Plaintiff Interactive Intelligence, Inc. of Indianapolis, Indiana filed a lawsuit for declaratory judgment in the Southern District of Indiana against Defendant Avaya, Inc. of Santa Clara, California. At issue in this litigation is the proper scope of a patent licensing agreement between Plaintiff and Defendant. In 2002, Interactive and Avaya agreed to license patents covering Avaya’s “call center” products. In exchange for this license, Interactive agreed to pay Avaya a royalty based upon Interactive’s sales. The patents-in-suit, which have been issued by the U.S. Patent and Trademark Office are as follows: U.S. Patent Nos. 5,802,058; 5,982,873; 6,009,386; 6,052,460; 6,173,399; 6,192,050; 6,208,970; 6,389,132; 6,392,666; 6,535,601; 6,560,330; 6,636,598; 6,665,395; 6,754,331; 6,850,602; 6,925,166; 7,023,980; 7,215,760; 7,542,558; 7,685,102; 7,702,083; 7,990,899; 8,107,401; 8,379,819; 8,897,428; 9,049,291; and 9,154,629. In this federal complaint, filed by Indiana patent lawyers, Interactive states that, since 2002, its revenue has expanded to include many sources other than call center software, including “hardware resales, software maintenance and support, training, [and] subscription services for cloud based hosting.” It also contends that a “sizeable portion” of its revenue now comes from business outside of the United States. Interactive claims that Avaya has misused its patents and misconstrued the agreement to require Interactive to pay royalties based on Interactive’s “global sales.” It argues that sales that are outside of the scope of Avaya’s patents, as well as at least some of its foreign sales, should not be subject to a royalty under the agreement. Interactive further asserts that Avaya’s “threats of potential patent infringement litigation resulted in Interactive paying significantly more than $1,000,000 in excess payments” under the agreement. This lawsuit seeks a declaration of patent misuse by Avaya, as well as a declaration that Interactive does not infringe any of the patents asserted by Avaya. Interactive also seeks restitution and/or damages, costs and attorneys’ fees.